Want to host a Business After Hours event? Let us put the Spotlight on your Business! Would you like to sponsor a Monthly Membership Luncheon? The Marion Chamber of Commerce Marketing Committee meets on the third Wednesday of each month at 8 a.m. at the Chamber office. Please join us on March 18 to quench your thirst for knowledge and wine. It's time to enahnce your business' productivity, efficiency, and effectiveness with Futiva's Hosted Communications. Ella York, Community Outreach Liaison with the Assistant Attorney General's office will be the speaker at the Marion Chamber of Commerce Legislative Affairs Committee Presentation on Thursday, March 19. Amplified 408 will have a launch event on March 19 at The Diamond Club at Rent One Park at noon. Marion Knights of Columbus Lenten Fish Fry will be held every Friday from February 20 - March 27 at the Knights of Columbus Hall, next to St. Joseph Catholic Church. The Evansville VA Health Care Center will hold a Veterans’ Town Hall at 2:00 pm, Friday March 20, in Conference Room 3008, 6211 E. Waterford Boulevard in Evansville. The Easter Bunny will arrive at the Illinois Star Centre Mall on Saturday, March 21 at 11 a.m.
A Ribbon Cutting Ceremony will take place at 4 p.m. on Friday, March 27 at The HUB. The Little Egypt Arts Association will host a Trivia Night on Saturday, March 28 at the Little Egypt Arts Centre. Doors open at 6 p.m. and play starts at 7 p.m. The American Red Cross will hold a blood drive on Thursday, April 2 from 3-7 p.m. on the Red Cross Bus located at 2804 East Outer Drive in Marion. A Ribbon Cutting Ceremony will be held at 3:30 p.m. on Friday, April 3 at Stellar SEO. On April 7th, 2015, State Representatives, Mayors and Village Presidents, County Officials, Chamber of Commerce Directors, and small and large energy users and buyers from throughout Illinois are expected to converge in Mt. Vernon, IL at Cedarhurst Center For The Arts. The purpose: a forum to discuss competitive energy in Illinois. The Marion Chamber of Commerce Monthly Membership Luncheon, sponsored by Volkswagen of Marion, will be held on Tuesday, April 14 at noon at Kokopelli. The 7th Annual Southern Illinois Men’s Conference begins Saturday, April 18, 2015, 7 a.m. at John A. Logan College in Carterville. The Marion Chamber of Commerce will hold its Business Before Hours event on Thursday, April 23, 2015, at Heartland Regional Medical Center, Classroom 1. The event will begin at 7:45 a.m. with a free breakfast, provided by Heartland Regional Medical Center, and networking, followed by a presentation by Russell Williams with Brehm Foundation on John Maxwell's Leadership Principles. The April Marion Chamber of Commerce Business After Hours program will be held on Thursday, April 23 from 4-7 p.m.at Volkswagen of Marion. The Federal Prison in Marion would like to take this opportunity to invite your business or organization to participate in the “Gateway to Success," a mock job fair on Thursday, April 30, 2015. The day will start in the visiting room at the Federal Prison Camp. The Marion Chamber of Commerce is happy promote members on the homepage of the Chamber's Web site in the Member Spotlight section for $250. Note that one Member Spotlight is featured a month. Slots are filled on a first-come, first-served basis. A company may only request a Member Spotlight once a year. The following months are available for purchase: April, July, August, October, and November. To grab your spot in the spotlight, email director@marionillinois.com or call 618.997-6311 and let us know what month you'd like. The Marion Chamber of Commerce is happy to to offer to members the sponsorship opportunity at the Monthly Membership Luncheons, held on the second Tuesday of each month (except for January) for $100. opportunity to speak for up to three minutes at the luncheon, and a table set up by the registration table at the luncheon. The opportunity is limited to one Monthly Luncheon Sponsorship per business per year. To become a Monthly Membership Luncheon sponsor, email director@marionillinois.com with what month you'd like to sponsor or call the Chamber at (618) 997-6311. Russell Williams is the director of the Brehm Foundation in Carbondale, a public charity which supports students with learning disabilities. Russ is also a certified speaker, teacher, and coach with the John Maxwell Team. 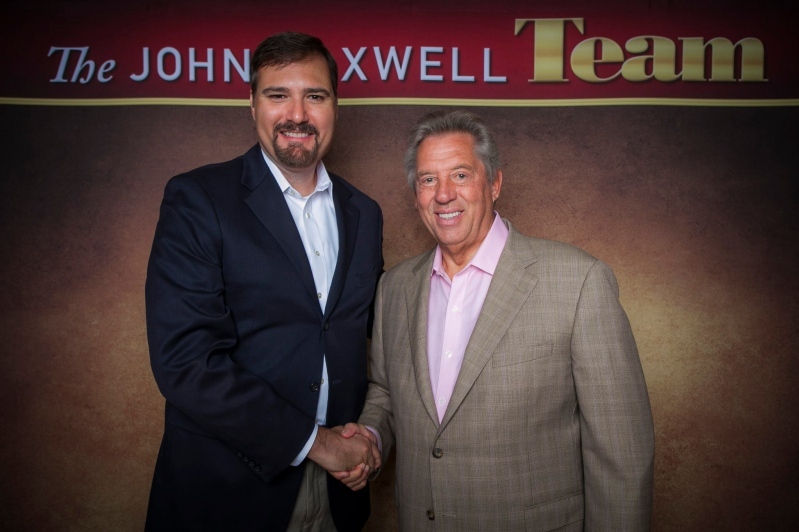 The John Maxwell Team offers workshops, seminars, and coaching to aid in personal and professional growth to individuals, organizations and companies worldwide. For over twenty-five years, Russ has been teaching people to answer their call to lead, to add value and make a difference in the lives of others. He resides in Marion with his wife and two boys. There is NO COST to attend the event. Marion Chamber of Commerce Business Before Hours events are held on the fourth Thursday, every quarter during the year, at 7:45 a.m. at Heartland Regional Medical Center, Classroom 1. Presenters for each Business Before Hours are chosen by the Marion Chamber of Commerce Membership Committee. Due to the overwhelming response last year for Hospice of Southern Illinois Day at the Ballpark, we are going to have it again this year! Article By: Hospice of Southern Illinois, Inc. This release strictly looks at the number of manufacturing jobs and companies. Article By: Regional Economic Development Corp.
For more Member Press Releases, click here. The Marion Chamber of Commerce Monthly Membership Luncheon was held on Tuesday, March 10 at noon at Kokopelli. You are invited to participate in an important research project for Illinois and its middle market businesses. Celtic Healthcare, formerly VNA-TIP Healthcare, held a Ribbon Cutting Ceremony at 4:30 p.m. at March 5 at their Marion location. To read more Chamber news, click here. Marion Community Day at Rent One Park is Friday, June 26. 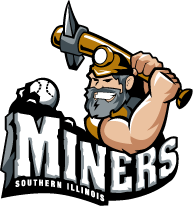 The Southern Illinois Miners will be facing off against the Washington Wild Things. Show your community spirit and support for Marion Grad Spree this year by attending the game. As a Chamber member, you have access to deals with the Southern Illinois Miners for Marion Community Day! Business vendor at Tailgate party - The Tailgate Party for the Marion Community Day will begin at 4:30 p.m. on the gravel lot of the Rent One Ballpark. To display your business' goods/services at the Tailgate Party, the fee is $50, which includes one parking pass. 12 box tickets and a table on the concourse - Your business will receive 12 box tickets to the game and a display table on the concourse during the game to promote your business and products. Tailgate Party vendor, 12 tickets, concourse table - Your business will receive 12 box tickets to the game, a display table on the concourse to promote your business and products/services during the game and a space to display your business' goods/services at the Marion Community Day Tailgate Party. The Tailgate Party for the Marion Community Day will begin at 4:30 p.m. on the gravel lot of the Rent One Ballpark. I just want to watch the game - Choose this option if you aren't interested in the advertising space, business vendor space at the Tailgate Party or a table on the concourse to display your business' goods/services. By choosing this package, you are purchasing ONLY one box ticket. You can purchase additional tickets below. The Southern Illinois Miners donates 50% of the Community Day ticket sales to Marion High School Grad Spree. This year, there will also be a Tailgate Party at Marion Community Day. Vendor spaces will go quickly, so sign up today! Call the Chamber at 618.997.6311 or email director@marionillinois.com or click here to register TODAY. Have you thought about hosting a Business After Hours event? Schedule yours today! Business After Hours events are held on the fourth Thursday of the month, unless the Chamber member has a special need for a different date or calendar conflicts at the Chamber arise. The hours for a Business After Hours event are to be determined by the Chamber member. However, 4:30-6:30 p.m. is recommended. The Business After Hours Program fee is $100. Email director@marionillinois.com, call 997-6311 or fill out this form to schedule your BAH event today! March and May-December events are open. April's Business After Hours event is hosted by Volkswagen of Marion. If any Marion Chamber of Commerce member would like to have fliers for an upcoming event, announcements, etc. placed at each attendee's seat at the luncheon, please contact the Chamber at 618.997.6311 to arrange for delivery of the fliers prior to the luncheon. Distributing fliers / business cards/ etc. at the Monthly Membership Lunches is free and a part of your Marion Chamber of Commerce Membership! As a member, you have access to many discounts provided by other Chamber members. Discounts include radio and newspaper coupons, insurance discounts (commercial and personal), mobile telephone discounts, banking incentives and more! These discounts often cover the cost of membership! Member-to-Member Discounts are located here. Rack space is available for you to display your business brochures and business cards for visitors to our office. To assist members with their own direct mailings, our mailing list is available on labels to our members for $35 per printed set or free for electronic versions. We do not provide our e-mail list for distribution. The Chamber provides you a bulk mailing opportunity by using its bulk-mailing permit. Want to know more about the benefits of being a Marion Chamber member? Click here!